They fit true to size (I wear a 10.5 in New Balance and most Nike's - and this shoe in a 10.5 fit just about perfect). I had my husband try them on just to make sure they fit just like they did in the store and he said they were great! 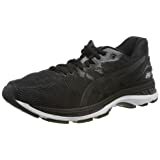 These are the best running shoes for a balance between comfort and speed that I've found so far. 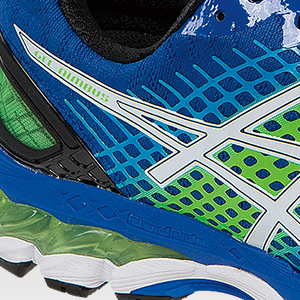 Another great entry in a line of great running shoes. — D. W.
Be prepared for the revolutionized GEL-Nimbus 17. 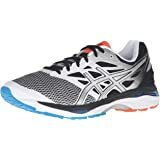 The GEL-Nimbus 17 sheds some serious weight with the nearly seamless FluidFit upper to aid in preventing blisters, while a new FluidRide midsole and extended Rearfoot and Forefoot GEL-Cushioning system have improved the already opulent and comfortable ride. 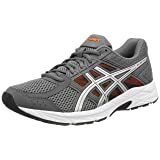 Crafted for a range of running gaits, the enhanced cushioning and support from the ComforDry X-40 Sockliner and Guidance Trustic System assist underpronators and those who run with a more neutral stride, while increasing both comfort and running efficiency. 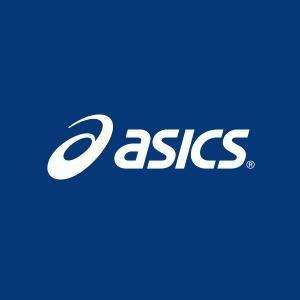 ASICS GEL-Cushioning reduces the the shock during impact and toe-off phases, allowing for a smooth transition throughout your stride. 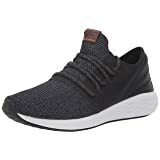 Ultimately, running shoes are about fit, and our FluidFit upper technology utilizes a combination of multi-directional stretch mesh and stretch reinforcements to create a glove-like fit. 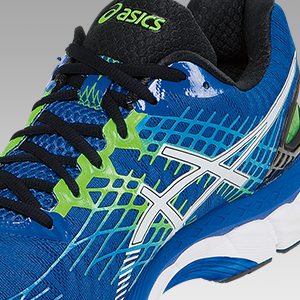 The ability to bounce back within a shoe is important, but also being able to provide cushioning, reduced weight and exceptional durability is even better. 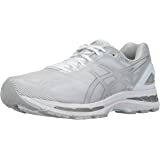 After the second world war, ASICS founder Kihachiro Onitsuka observed children wandering the streets barefoot, and decided to help the youth of his country. By promoting the values of Sport, and providing them with high quality athletic shoes to help them perform their best, he believed he could help the children of Japan build a better future with the philosophy of Anima Sana In Corpore Sano: “A Sound Mind in a Sound Body.” In 1949, Onitsuka Co. was born, and soon after, the first ever footwear was released from the fledgling brand: a basketball shoe called the “Tiger.” In the years that followed, Onitsuka Co. (re-named “ASICS” in 1977) designed a myriad of scientifically sound, sport-specific shoes for athletes. 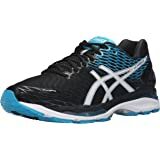 Mr. Onitsuka’s emphasis on the spirit of Sport and a focus on the needs of the athlete continue today with ASICS, Onitsuka Tiger, And ASICS Tiger shoes, clothing, and accessories. Our dedication to never stop bettering our best reflects our desire to help you, the athlete, to always Better Your Best. Ready to go the distance? 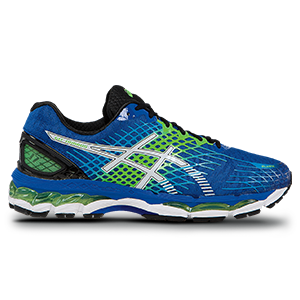 Find the combination of cushioning and stability to keep you on your feet mile after mile in the GEL-Nimbus 17 from Asics.. These shoes are amazing. 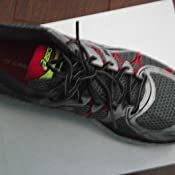 I don't give 5 stars lightly, great products get 4 stars, but I save 5 star rating for products that go above and beyond, that really blow me away and these shoes get a full 5 BIG shiny stars in my book. I generally wear Asics and I can say without a doubt this model is the best I've ever worn. They are comfortable, both in the uppers and lowers. Great heel lock. They are light weight. AND oddly enough, I've been wearing the heck out of these on a daily basis for a good 2 months and they still look new. 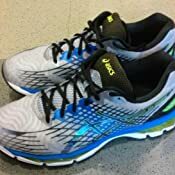 Mind you, this is not some indoor shoe for me, I run on mixed terrain from sidewalk to grass to light trails (and I love my Nimbus 17 so much, I've been using them dual purpose for my daily shoe as well) and still after 2 months, they look new enough that people say "oh, bought a new pair huh" NOPE, same pair!!!! I did run them though the wash once, just because I wore them barefoot a few times and even though they're super breathable and there was no odor, I wanted to be sure they stayed fresh, but still, wash or not, the side sole of most other shoes would be showing wear and tear, but not the Nimbus 17, they're holding up incredibly well. The picture is after 2 full months of daily wear. The durability alone is a major selling point. Over all, I highly recommend this shoe. 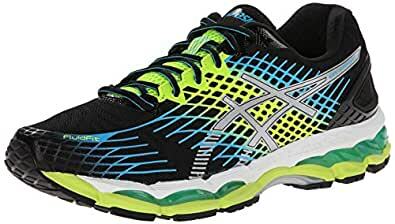 There's no one area this shoe excels in, Asics made a shoe that excels in every area, they really set the standard by which I'll judge all future shoe purchases. I love these shoes overall. My last Nimbus was the 15 and I put about 500 miles on it before having to replace it. The 17 is similar to the 15 in most aspects, although I will say that the 15 felt a bit more fluffy. The only thing I don't like about this pair is that it is super stiff, but that's personal preference. 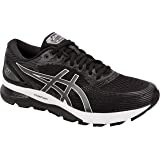 I've also tried out the 18 and 19 and bought this because the 19 is trash in my opinion (it has far less cushioning and a narrow toe box), so it was a toss up between this pair and the Nimbus 18 which isn't as stiff as the 17, but did weigh a little more so I opted for these. To put my review in perspective, I'm currently running about 2-4 miles a day, and my pace can be from 6-8 minute/mile. I'm about 5'11" and 235lbs so cushioning is a must for me. I did take this pair for a test run today and they passed my initial testing in terms of cushioning and minimizing joint impact. 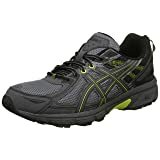 Where with my Asics Cumulus 15 that I was using as an in-between shoe wrecked my feet, I didn't have that issue today. So overall, I give this shoe high marks, though I'm not a fan of the super stiff frame, everything else about it is fine. 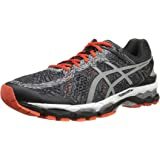 Had multiple spine surgeries and did a lot of research into a good pair of walking/running shoes. 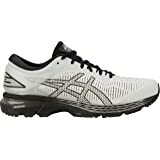 This is my 2nd pair and plan on sticking with the Nimbus line of ASICS. They run about a half inch short. Well worth the $$. They last forever and are like walking on clouds. Most comfortable runnings shoes I have ever worn. 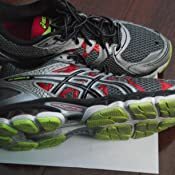 Runners world has a shoe guide to check out depending on your weight, the way you walk/run. Give you some suggestions if these don’t fit your requirements. 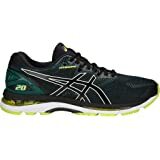 It’s how I found this line of ASICS and love them although they aren’t cheap. New colors are kind of sad is my only gripe. Nimbus 16-17 are great! 4.0 out of 5 starsGreat overall but NOT for brisk walking! Tough to rate! It depends on how you use them. For the one significant negative (very brisk walking), see the end of this review. First, let me note that the link to check fit (showing the view of the shoe's bottom-of-foot profile vs. another shoe) was extremely helpful. Based on that, I selected 1/2 size larger than I'd ever ordered for any shoe, and the result was excellent. Fit/Comfort: Great. Roomy enough in the toe box. Not too tight side to side. Really nice feel in the heel. Appearance: Terrific - matches the photos, and quality appears very good. Cushioning: Unbelievable - far more noticeable, especially in the heel, than in any shoe I've ever worn! But it's the cushioning that creates my dilemma. 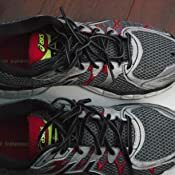 I do little running any more, but the Nimbus 17's - their cushioning and overall - seem quite fine for that, but a better/longer test will have to wait for warmer weather. 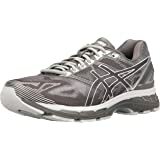 And for normal walking/strolling/ambling, the shoe is also very good, with the cushioning a definite plus. BUT, if you are a very brisk walker, I do NOT recommend these shoes. 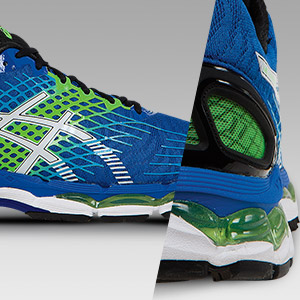 I do not understand what's going on biomechanically, but the super cushioning changes walking motion and effort. Speed is slowed a bit, effort required is increased, and the back of my legs hurts sooner/more. Saucony Ride's (I've used 4-5 different models) and Brooks Addiction Walkers have never had this problem. This was not my first gel nimbus. Had always had perfect fit with them in the past, that i did not have to try the new models. Anyway, when i got the shoe, there was a nagging pain in my first MTP joint on the right. I though i just needed to break in the shoe. It persisted, and so I tried loosening the laces. It was better for a bit, but the pain returned. I have probably run around 50 miles in them now, even just finished the Chicago spring half marathon last week. This week, i have pain in the same joint, even with just walking in them. 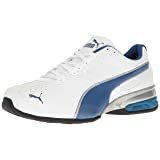 I decided to research, and found other people complaining of how much narrower the shoe is now, compared to the older models. Of course I realized to do this shortly after the return policy lapsed. Today, my joint is swollen and tender. I know it's from the shoe (i did a long run this morning). I am now forced to stop wearing the shoe and go get a new pair (probably another brand), which I will make sure to try on first. Learned lesson, even if the older models worked perfectly, trying a new pair before buying is the best.